Originally intended to be featured in my soon to be completed 'Expanding the Dreamcast Collection – Part 3' article, it was decided (by me!) that this game/simulator deserved a little more attention and so has evolved into its own, albeit short, article. Take a read if such things as boring simulators interest you…or don’t as the case may be. 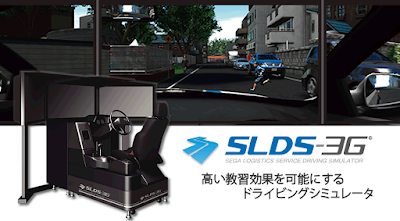 Did you know, that in 2002, while the English were still living in mud huts and throwing faeces into each other’s faces, on the other side of the globe, whacky big eyed constantly bowing super advanced cat-girl people (aka the Japanese) had already perfected the art of driving simulator creation? 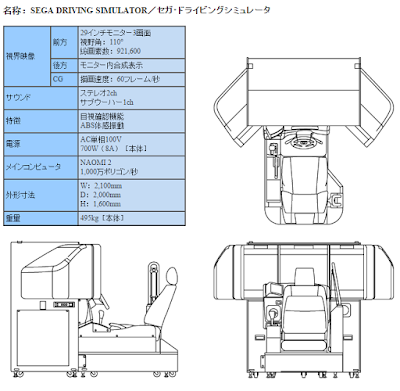 Yes, it’s true, and the creator of said super advanced simulator wasn’t Skynet, but in fact Sega! What’s more it ran on Dreamcast 2 hardware! OK, so it wasn’t technically running on a Dreamcast 2, it ran on the Naomi 2 arcade hardware. 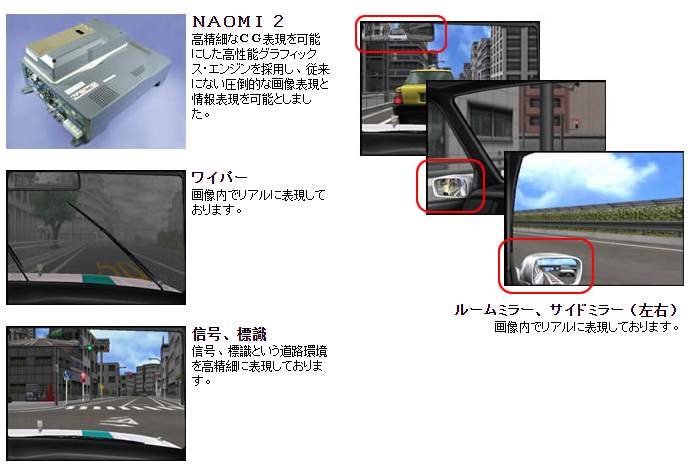 The Naomi 2 was of course the sequel to the original Naomi which itself was basically just an arcade version of the Dreamcast, so with a bit of imagination it doesn’t take much of a leap to get from Naomi 2 to Dreamcast 2. (The rest of the above is all true and historically accurate by the way, a Facebook meme once told me so...probably). The game in question was developed as a joint project between the Japanese government, Japanese driving schools and Sega, and completed development in 2002/3 making it one of the last games to be developed for the Naomi 2. 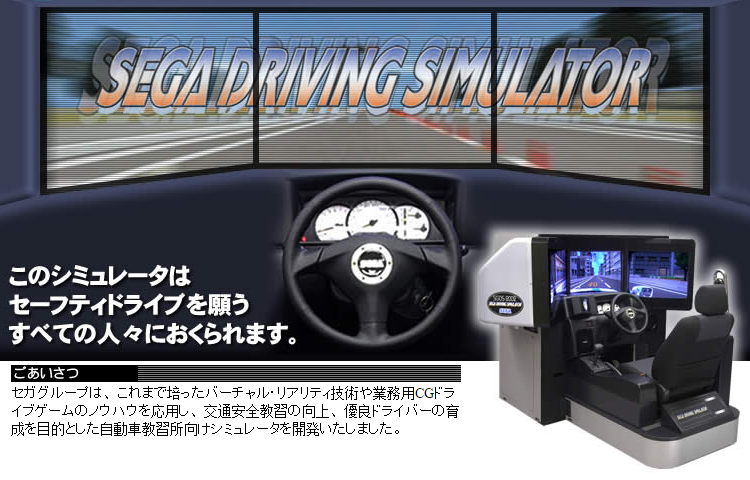 Only, it’s not really a game at all, it’s a super realistic driving simulator… a Sega Driving Simulator! Unlike the other games featured in the 'Expanding the Dreamcast Collection' series, it wasn’t sold to arcades but instead marketed to driving schools around Japan. The number of features and attention to detail on this cab are really quite astonishing. The simulator ran inside an incredibly advanced custom cabinet featuring three 29" monitors, a seat belt, handbrake, pedals, gear stick, realistic speedometer and even keys to start the engine. The race wheel’s force feedback was particularly noteworthy at the time, for being capable of realistically simulating a plethora of driving situations, such as ABS and skidding, to a level that had never been seen before. Even a camera was featured as part of the set up to monitor such things as whether the user was appropriately moving their head left and right to check for traffic and other potential hazards. I find the on screen wing mirrors particularly satisfying to look at. A selection of small clips from these lessons can still be viewed on the official page as seen above and I recommend taking a look at them (right after you’ve finished reading of course!). 1. Course Map 2. Real time video of student 3. Record of user’s speed, acceleration, braking etc in real time. 4. Gravity Data Graph. Up to three simulators could be connected simultaneously to one PC for the purpose of monitoring student performance. During use of the simulator, detailed data and statistics of the lesson would be recorded in real time on said PC. An example of some of one of the print-outs. Finally, replays of the lesson from various angles could be viewed and a printout summarizing the lesson and user's performance would be taken away by students to reflect upon, evaluate and see which aspects of their driving could be improved upon. Think you’ve got a complete Dreamcast collection? Have you got one of the Brave Firefighter Kyoto Disaster Prevention Centre cabinets, or one of these?!?! Well! Have you? No! So and sit down and shut up. The story of the Sega Driving Simulator doesn’t end here though, because ten years later in 2013, Sega released a follow up to their groundbreaking simulator named the SLDS-3G, the Sega Logistics Service Driving Simulator – 3G. Where the 3G comes from, I’m not sure because by all accounts, this is the second installment, not third, in the series. If you know any better, I invite you to chime in below in the comments section below. 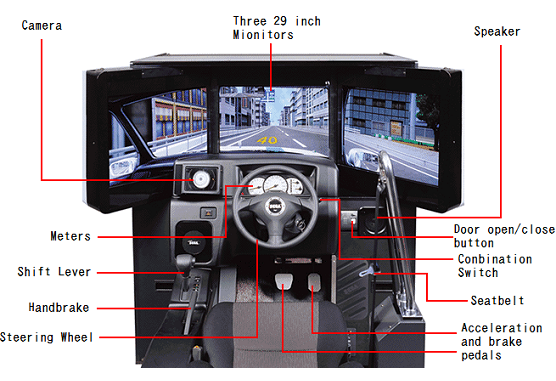 What will come next in the evolution of the exciting driving simulator market? Only time will tell. 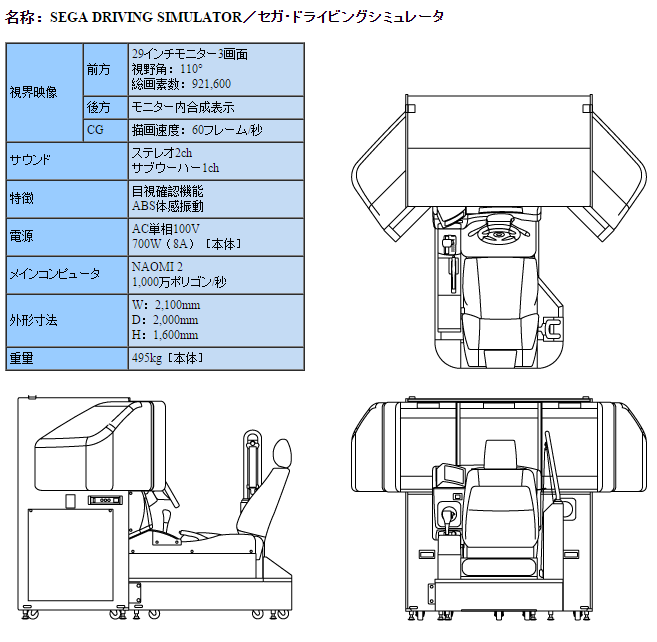 They are probably counting F355 Challenge Deluxe version as the first generation driving simulator. It used the same setup (3 screens, multiple arcade boards, etc). New VMU Games On The Horizon?